Every Moccamaster Coffee Brewer is handmade and individually tested in the Netherlands using only quality European materials. Dimensions - 7.1 x 12.2 x 15.4 inches. 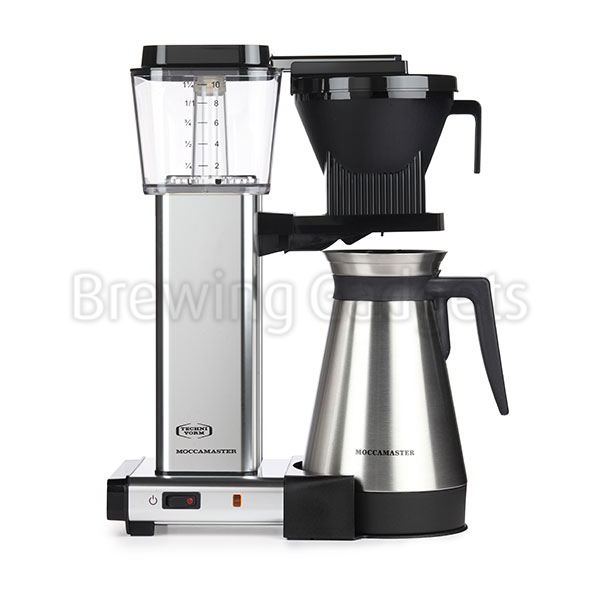 The Moccamaster KBT model features a thermal carafe and a manual- adjust, drip-stop brew-basket which provides adjustability in how fast coffee flows into the carafe. The KBT brews a full 40oz pot of coffee in six minutes. 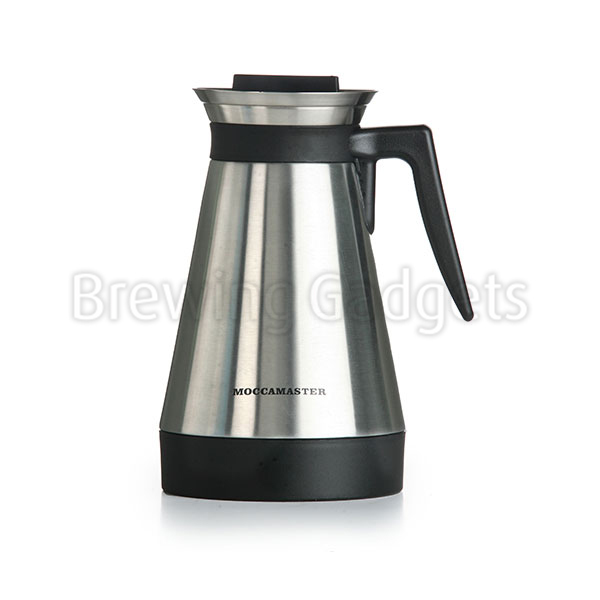 The thermal carafe will keep your coffee hot up to an hour. To keep coffee hot longer or for traveling with your carafe, switch to the included Travel Lid. 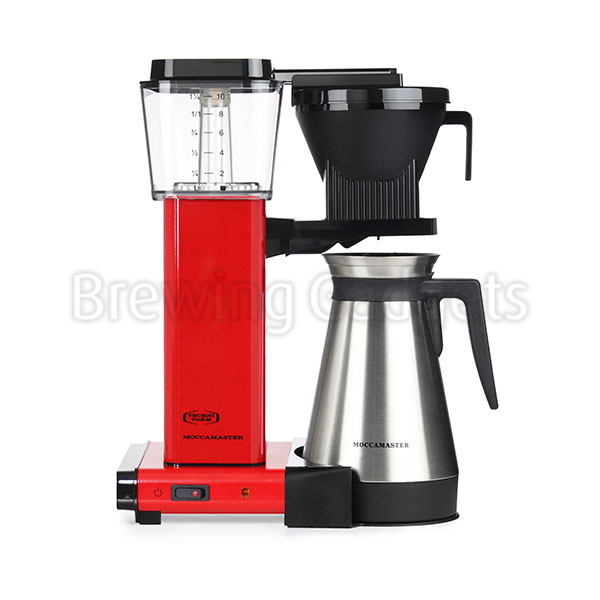 All Moccamaster Coffee Brewers are handmade in the Netherlands.